Marketing automation has for long been considered a major force in the modern world. It helps make marketing easier, leaving you with qualified leads who you can easily convert into sales. 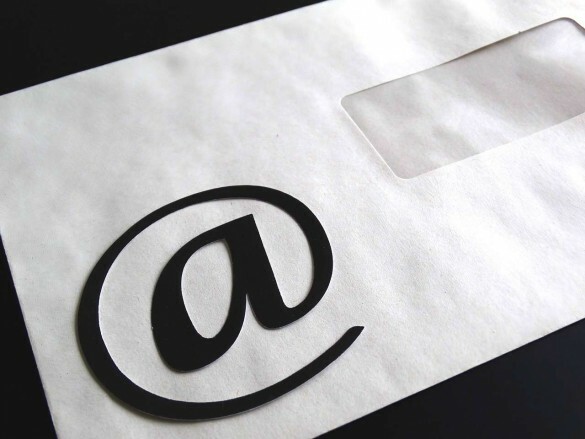 While some people hold the perception that email marketing is dead, the contrary is the case. Email marketing is very much alive and with the full capacity to take your business to greater heights if implemented in the right way. SalesForce Research shows that 44% of email marketing subscribers made at least a single purchase as a result of the promotional email they received. A different research conducted by OutboundEngine showed that 89% of internet marketers consider email marketing as the primary way for lead generation. 11% represents other avenues of lead generation. 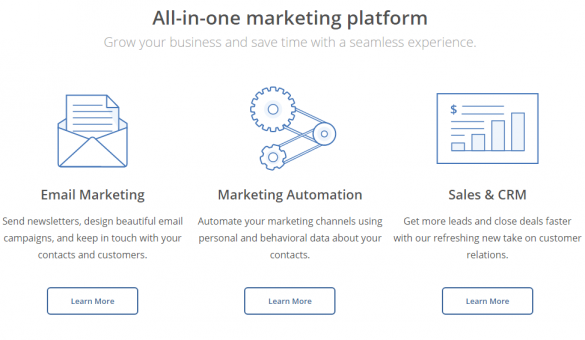 There are many email marketing platforms out there, with many new ones coming up. There has always been the challenge of choosing the best. Two services that stand out are GetResponse and ActiveCampaign. Which one of the two should you choose? Here we will discuss the features that each one of them has to offer. This will help you decide on which of the two is most appropriate for your needs. In the end, you will be able to decide on a complex yet easy-to-use automation software. Let’s look closer into the two and see which one will come out on top. GetResponse is one of the best email marketing, webinar, and marketing automation software programs that provides users with utmost ease of creating attractive sales campaigns. 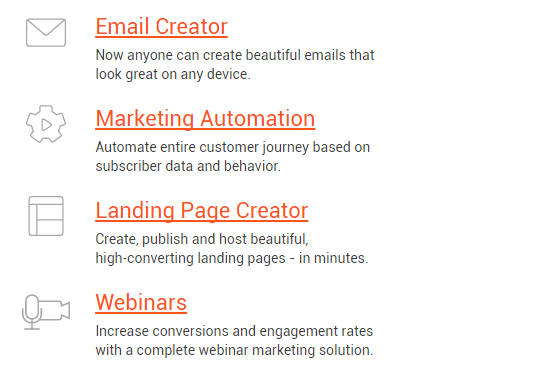 It used to be purely an email marketing platform but recently added the marketing automation features. This is one of the latest additions in GetResponse. It helps create automated workflows aimed to make the sales process easier. You can use this to make decisions based on your clicks, purchases, and even shopping cart abandonment statistics. With such information, it becomes easy to create automated campaigns that will help the marketer seal any strong loopholes. This enables marketers to create filters that will help them to conduct specialized campaigns that are laser-targeted to different groups of people. It automatically makes it easier to define the range and number of people within a given target audience. With such advanced targeting, it is easy for a marketer to increase their conversion rates. Marketers are also able to create excellent win-back solutions for lost customers through improvement of services. GetResponse has phenomenal analytics. This will help you understand the current position of your business. You’ll also be able to easier decide on what must be done to improve your business or marketing efforts. According to Forbes, 41% of marketers rely on performance data recorded by automation software. This confirms that the Automation for SMBs feature is indeed very important when it comes to the progress of any business. We cannot overlook the importance of a landing page in Internet marketing. They help a marketer to persuade and convince the target audience to take advantage of particular offers, products or to just sign-up to new mailing lists. Unlike in the past, marketers are already doing a lot to make sure that their landing pages are fully optimized for the benefit of the business. According to IMPACT research, over 50% of all Internet marketers prioritize the use of landing pages. GetResponse provides users with a brilliant landing page creator. You can choose from thousands of unique landing page templates. It is also possible to integrate your landing page with Google Analytics for easy tracking of performance. GetResponse has over 1000 free images that you can use on your landing page. You can integrate this with a PayPal button to enable your clients to easily make PayPal purchases. Creating a landing page is a breeze using their drag and drop editor. You can host the landing pages on a GetResponse subdomain or your own custom domain. Here you can split test your landing pages to see which one has the highest impact. GetResponse provides you with the chance to engage with your contacts through webinars. These play an important role in boosting conversion rates in any business. In this regard, GetResponse enables you to enhance your relationship with both prospects and existing clients. The webinar tool provides you with numerous invitation templates. You are also able to invite people and send them reminders through email. It is easy for subscribers to join webinars without the need to download any extra plugins. During the webinars, you can instruct through a partial or full screen. You’re also able to easily chat with your attendees, making it very interactive. Once the webinar is over you can properly track conversions through the dashboard and even forward webinar recordings to attendees and other subscribers. Using GetResponse becomes even more convenient since interaction with customers is automated. You can create a sequence of emails that can be sent out automatically at set intervals through their autoresponder feature. The autoresponder feature does not have limitations on the number of messages that can be sent within a given time. All messages can be edited easily before automation. You can use this to deliver e-courses or lead nurturing emails that are aimed at increasing conversions and sales. This is basically the primary role of GetResponse. GetResponse does not limit the number of emails you can send to your leads. Did you know that GetResponse provides you with over 500 newsletter templates? Did you also know that GetResponse also provides you with the opportunity to edit templates and images? Aside from that, GetResponse also provides you with the chance to compare Email Marketing metrics hence making it possible to understand the position of your business. GetResponse has other great email marketing features. You can check the history of emails sent, re-use the emails, customize emails, and even create new content for the sole purpose of effective marketing. GetResponse has four pricing packages. These include Email ($15 per month for up to 1000 subscribers), Pro ($49 per month for up to 5000 subscribers), Max ($165 per month for up to 10,000 subscribers) and Enterprise ($799 per month for 100,000+ subscribers). The prices quoted above are the minimum rates for each package. With an increase of subscribers, the prices go up. The aim of any internet marketer is to see the list of contacts grow by the day. ActiveCampaign is a fantastic list building tool. The sales and CRM (customer relationship management) feature is meant to boost sales by all means, including excellent automation of sales processes. Sales and CRM is considered as a purely automated tool whose sole purpose is to fuel sales. The best part is that the feature integrates personal emails, automation, and marketing to form a force that can boost sales remarkably. The Email Marketing feature that ActiveCampaign has is considered as a very important tool when it comes to engaging prospects and active clients. With the help of this tool, marketers are able to communicate their messages to thousands of subscribers with a simple button click. Interested parties can subscribe to emails and newsletters from the marketing company. This goes a long way in increasing conversion rates and boosting sales. You will have the privilege of choosing from a wide range of templates. You can even go ahead and customize the templates to suit your preference. Aside from that, this feature allows you to gather and consolidate your contacts within a single platform. This ensures that the marketer is able to reach out to every subscriber at the same time. Above all, the Email Marketing feature provides you with real-time insights based on the contacts that you have and the campaign that you are conducting. This means that you can easily gauge your performance and make the necessary improvements where possible. ActiveCampaign understands the importance of full customer engagements. In this regard, the software comes with the marketing automation feature, just to ensure that you reach out to your audience in the best way possible. With the help of this feature, you can engage in sales follow-ups and tracking. You can also construct engaging and more welcoming emails for your prospects, hence increasing your conversion rates. It has excellent segmentation and personalization tools. For example, you can decide to create birthday emails for all your subscribers. They’ll be sent out to each person during their birthday and enhance your business towards customer relationship. 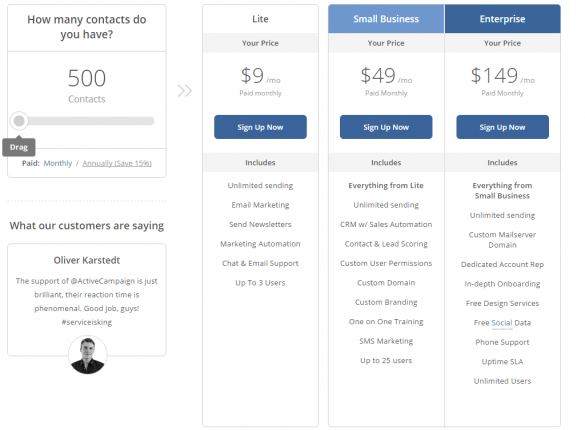 ActiveCampaign has 3 pricing packages. These include Lite ($9 per month), Small Business ($49 per month) and Enterprise ($149 per month). The prices above are for 500 subscribers. They go up as the number of subscribers increase. So, which of the two is the ultimate winner? GetResponse takes the gold here. There are definitely major differences as far as ActiveCampaign and GetResponse are concerned. They are both splendid tools that give amazing results when well used. In terms of variety, GetResponse comes with more features as compared to ActiveCampaign. For example, GetResponse has a landing page creator while ActiveCampaign does not. Regarding prices and charges, GetResponse is more affordable. This again comes as a major scorecard for GetResponse. In a nutshell, though there is cut-throat competition between the two, GetResponse is ultimately the better option. Email Marketing Basics: Building a List, Creating Responsive Emails, and More! Thanks for the review. I’ll definitely check this one out. I’m especially interested in GetResponse’s marketing automation. I thought they only did email marketing.